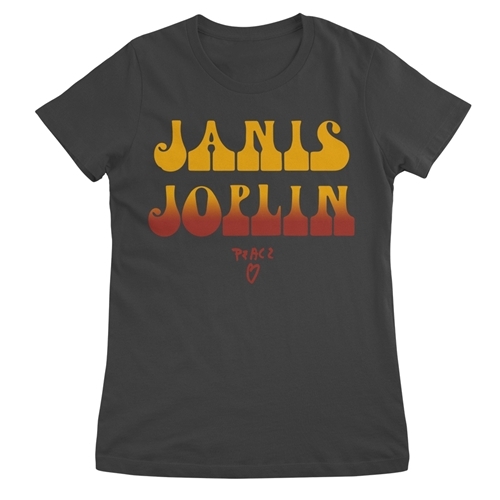 This official ladies Janis Joplin T Shirt, only available through Bluescentric, features Janis Joplin's actual hand-drawn "peace" and heart. 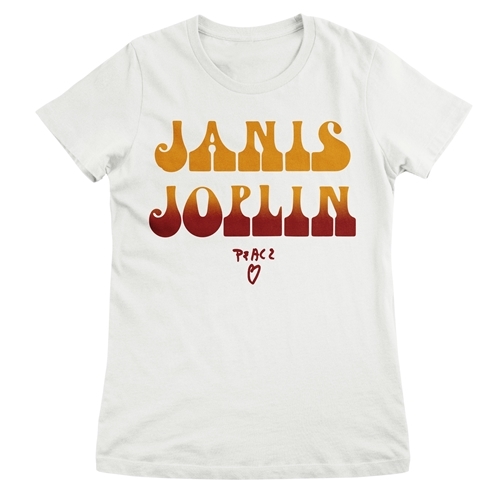 Every sale benefits Janis's estate. Janis came to define an entire era through the soulful, psychedelic way she sang the blues. Though her meteoric career ended far too early, that didn't stop Joplin from becoming one of the most iconic musicians of the 20th century. This is a comfortable 4.5oz preshrunk 100% combed & ringspun cotton Anvil ladies t-shirt. Sizes run very true. These are not fitted, but lightly semi-contoured for a comfortable fit. Heather Grey is 90/10, any other heather colors are 60/40.